The fine folks at GOYA have many great products, but I like their beans. I buy cans of chick peas (garbanzo beans) all the time to keep in the pantry. But I am often stumped as to what to use these beans for. But now I have a new go-to recipe with this recipe for Quick Mixed Bean Salad from those very same fine people at GOYA, and it is super easy. 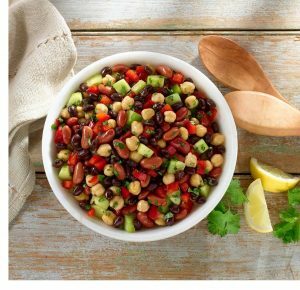 Find the recipe for Quick Mixed Bean Salad here. Learn more about GOYA’s products and find other great recipes here. Lost Cowboy is powered by	WordPress 5.0.4 and delivered to you in 0.763 seconds using 40 queries.